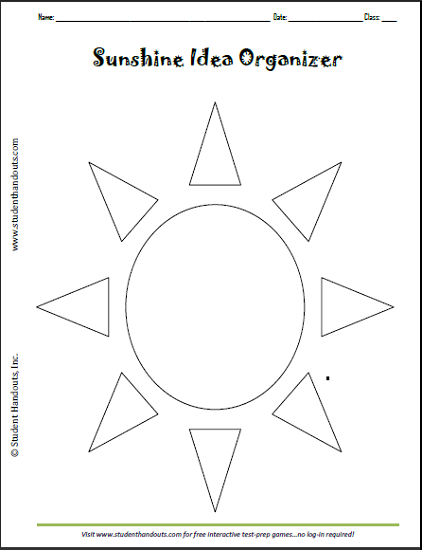 This rays of sunshine graphic organizer worksheet is a fun spin on the classic semantic map. One central idea, or topic, is written in the center of the sun. Ideas stemming from the topic (or sub-topics) are placed in the rays of sunshine. This is in large format so that students have plenty of room for writing. Click here to print. For more of our free printable graphic organizers, click here.